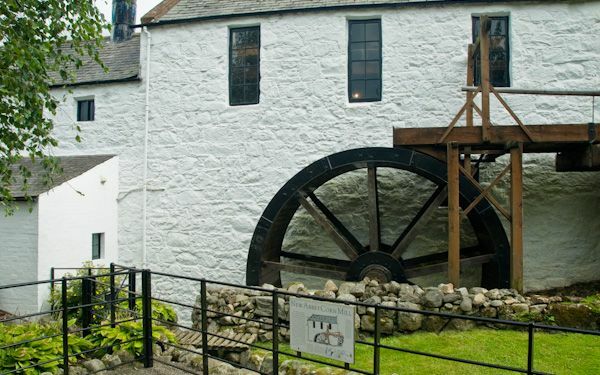 New Abbey Corn Mill is a historic water-powered oatmeal mill in a beautiful setting near Sweetheart Abbey. 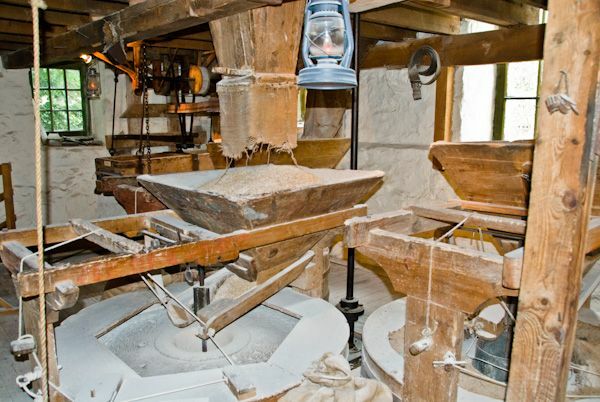 The mill is a lovely three-storey whitewashed stone building standing beside Pow Burn. It was erected in the late 18th-century by the Stewart family of Shambellie House, on a site probably used by the Cistercian monks from the nearby abbey. 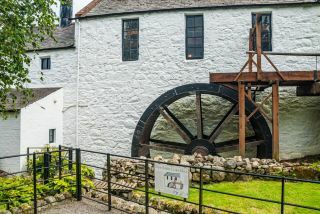 The first mill on the site was two-storeys high, but this was enlarged in the 19th century when the original two millstones were augmented by a third. 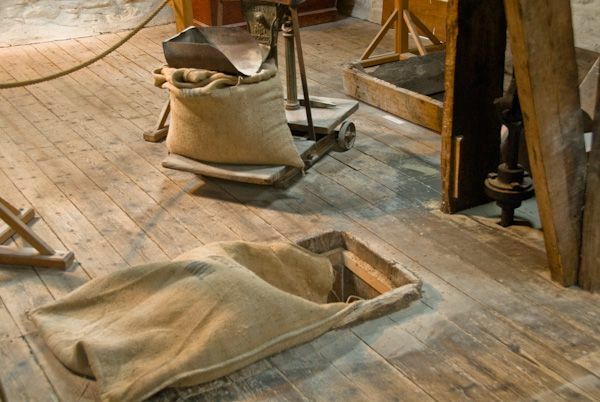 The first recorded miller is Thomas Millar, in 1825, and the last miller was John Clingan, who stopped work following World War II. The mill as we see it today is like a time capsule, as if Mr Clingan had just closed the doors. Everything is still in its place and complete. 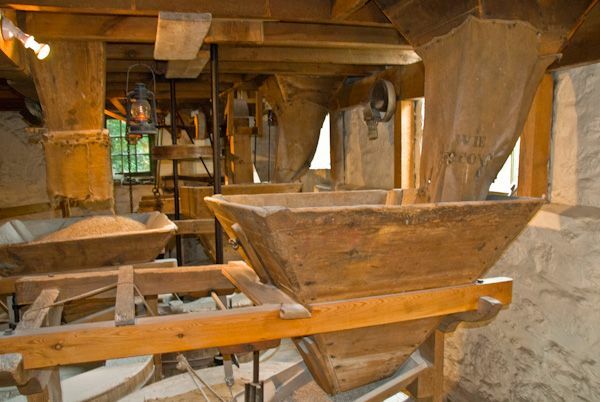 The mill machinery is completely restored. 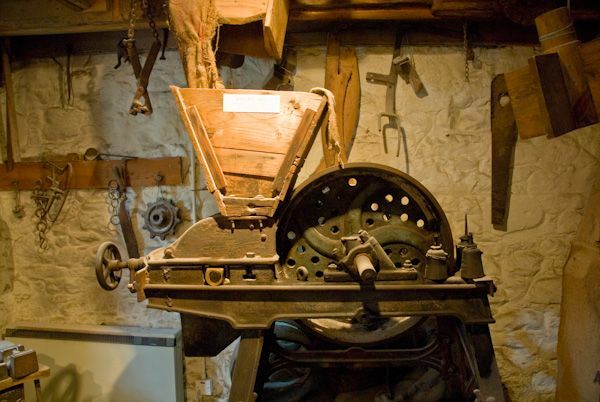 You can see it in action during the summer months, as well as the miller's house, which is now the visitor centre and exhibition area, where you can learn more about the role that milling played in everyday life. 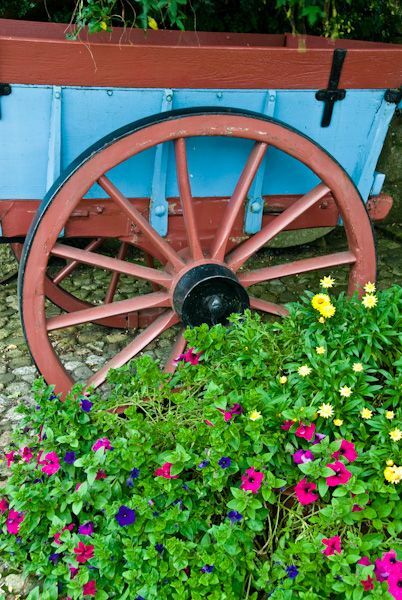 It is only a very short walk from New Mill to Sweetheart Abbey, giving you two historic attractions in one visit. This mid-terrace cottage is located in the village of New Abbey near Dumfries and can sleep two people in one bedroom. 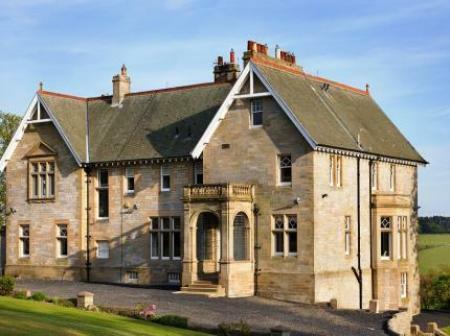 A ground floor flat set in the village of New Abbey in Scotland, sleeping four people in two bedrooms.